Distinctive notes of sweet dried black plum and ripe blueberries on the nose. Leather and nutty cedar add an attractive complexity. 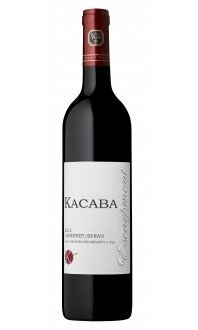 The palate exudes red and dark fruits upon entry and is well balanced and harmonious with smooth velvety tannins and a fine texture. Dried herbs are balanced perfectly alongside the rich fruit. Blueberry and cocoa linger on the finish. Enjoy this wine on its own or match with everything from pork to prime rib. Drink now with decanting or cellar up to 2025.